Whenever we think of men or women with tattoos on the arm, you would either think of men or women that have forearm tattoos or sleeve tattoos. These two kinds of tattoos are the most famous and are often interchanged because sleeve tattoos usually cover the entire arm, hence the name sleeve tattoos. There are two kinds of sleeve tattoos out there in the world, half-sleeve and full sleeve tattoos, but there are hundreds of tattoo designs out there that will be very applicable as a sleeve tattoo. We are here to help you out in picking the design that would be absolutely perfect for you so just relax and let us do the work for you. In this article, we will be discussing the various tattoo designs that can be used as a sleeve tattoo. We will be sharing with you our rich and colorful gallery of sleeve tattoo designs that will definitely make you want to have one on your skin. 1 Sleeve Tattoos: Is It Painful? 2 Half Sleeve Tattoos vs Full Sleeve Tattoos: What Do You Prefer? 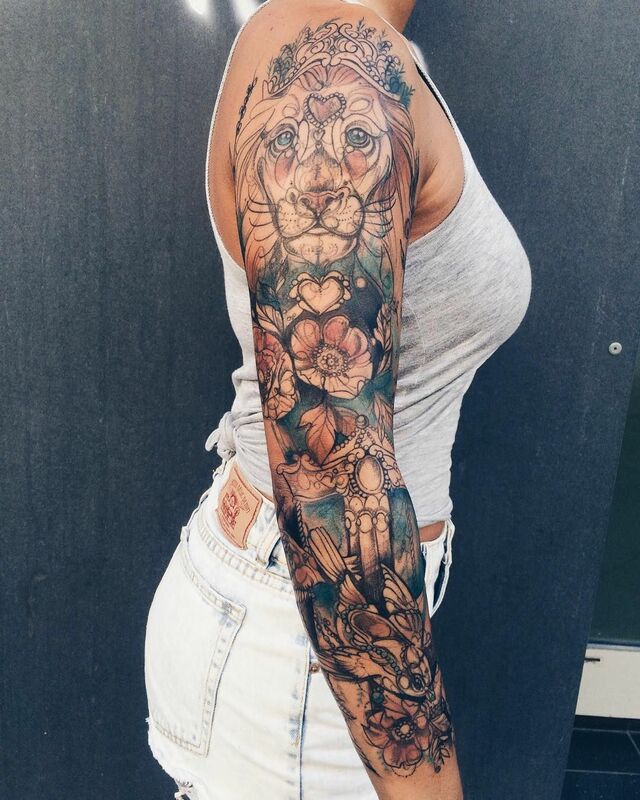 Sleeve Tattoos: Is It Painful? 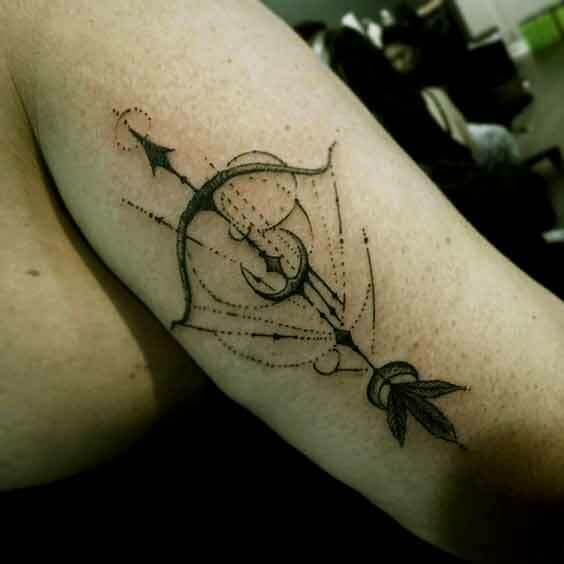 Well, it really depends on how large and intricate the tattoo is but generally speaking, it is painful especially in the upper arm area and the inner upper arm near the armpits because the skin there is very thin. The pain will be even more painful if you have stretch marks in the said areas of the arm because the skin is spread thin and the needle would automatically penetrate the skin and into the body fats in that specific part of the arm. 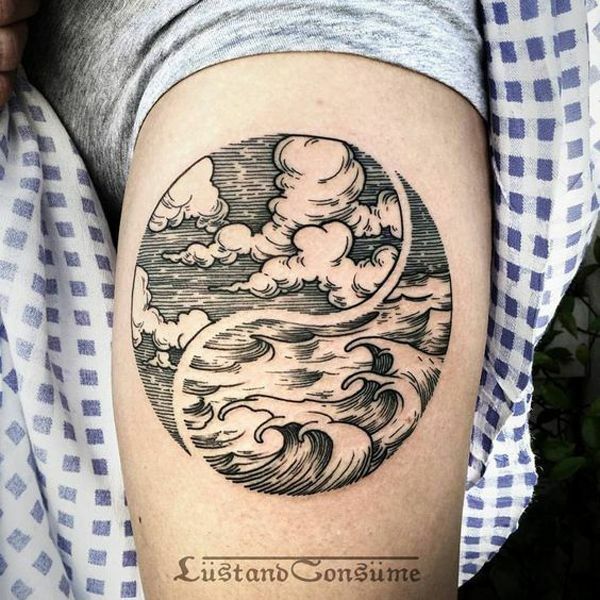 If you are talking about a whole sleeve tattoo, the lower part of the tattoo will only hurt as much as a forearm tattoo but depend on the design that you will pick, it might only be moderately painful but the long process of having the tattoo be inked on your skin may prolong the pain that you will endure. Same pain levels are reported on the upper portion of the arm. Half Sleeve Tattoos vs Full Sleeve Tattoos: What Do You Prefer? The preference of half sleeve tattoos and full sleeve tattoos are generally molded by the specific needs of each tattoo enthusiast and the ability of the tattoo artist. If the tattoo enthusiast would like to have a tattoo design to be easily concealed by a shirt, then the way to go is a half sleeve tattoo. However, if the tattoo enthusiast would like to have his tattoo be visible except when wearing a jacket or any long sleeved upper wear, then the full sleeve tattoo is for them. It will also depend on the skill and patience of your tattoo artist. Most self-trained tattoo artists would not accept a full sleeve tattoo because their hand is not that stable for long periods of inking a design to the skin. Other tattoo artists would accept full sleeve tattoos depending on the fee you would be able to give to them and your pain tolerance level since the upper inner arm is really painful under the needle. No matter, sleeve tattoos, half sleeve or full sleeve, will be beautiful on your skin. It really all boils down to the tattoo enthusiasts’ pain tolerance, the factor of concealment, and their patience in getting the tattoo design. An average full sleeve tattoo would cost around 1500 USD and that would usually take around ten to fifteen hours minimum to have one inked. More intricate designs would mean more time under the needle and more colors which would result in a higher fee. Some sleeve tattoos would even cost around 4000 USD and would take more than 80 hours to have it tattooed because of the complexity of the design. A lot of tattoo designs out there are much applicable to be inked as a sleeve tattoo. It just comes down to the skill level of your tattoo artist and the concept of how you would carry the design with you. here are a few sleeve tattoo designs to entice you in researching for the perfect one for your skin. 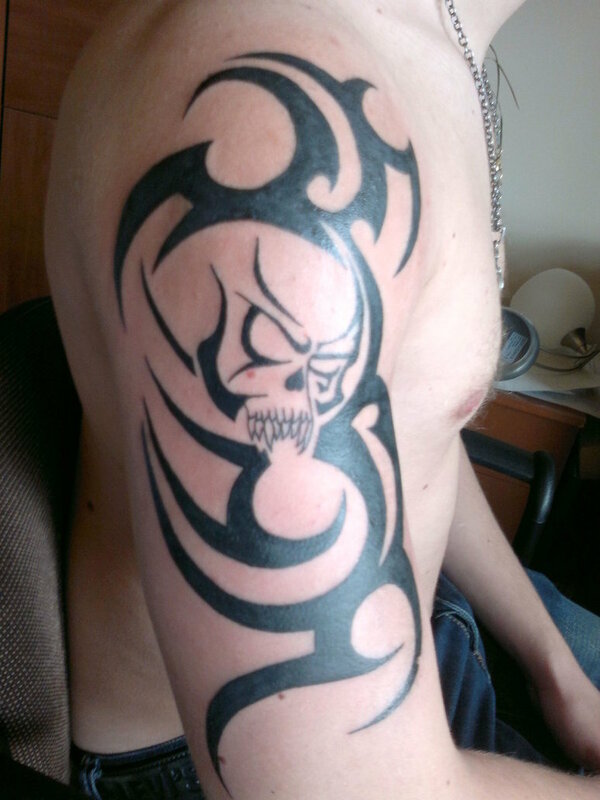 Skull tattoos are generally conceived as a masculine tattoo design because of the aura and vibe it gives to whoever sees this design. This tattoo is often associated with rockers especially those in the death metal branch of rock music. Goths are also one of the types of people that are associated with this tattoo design since they have this dark aura that surrounds them. 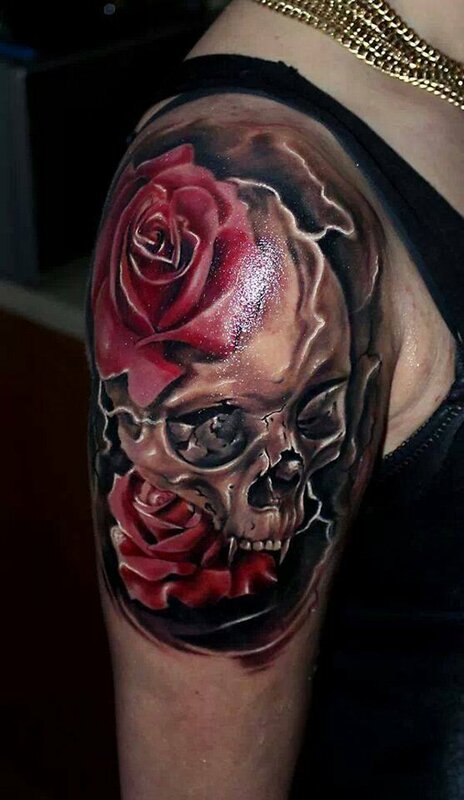 An upper sleeve tattoo of a skull and two roses. 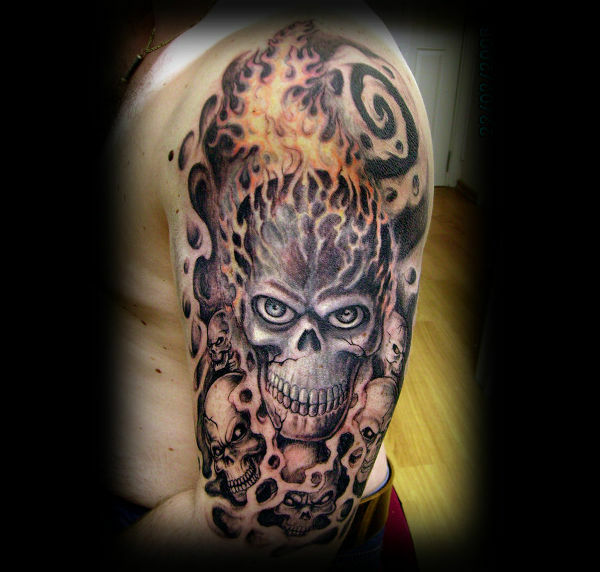 A traditional intricately designed half sleeve tattoo of a skull with a fiery head. 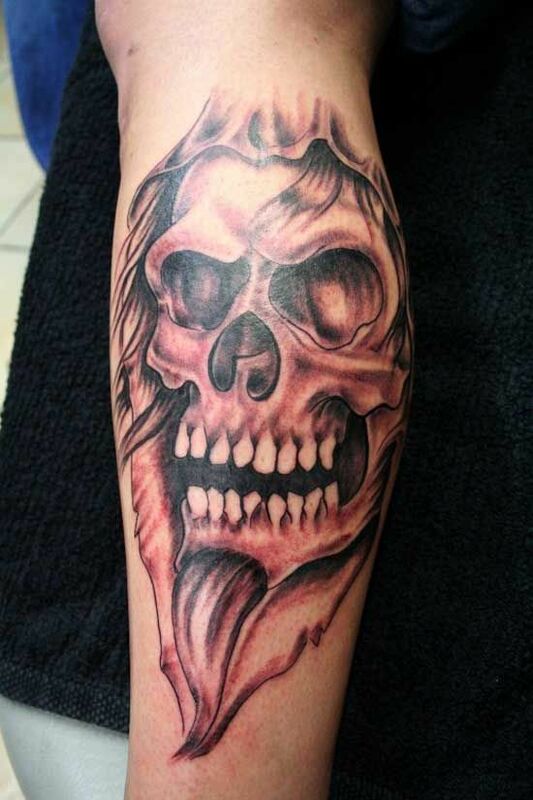 A half sleeve tribal skull tattoo. 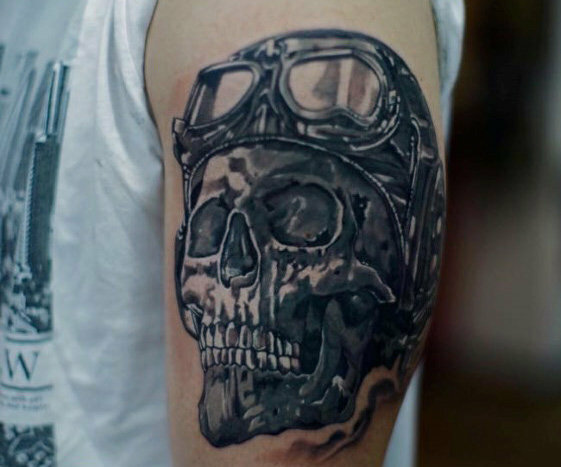 a sleeve tattoo a skull wearing a pilot’s goggles during the early ages of flight. 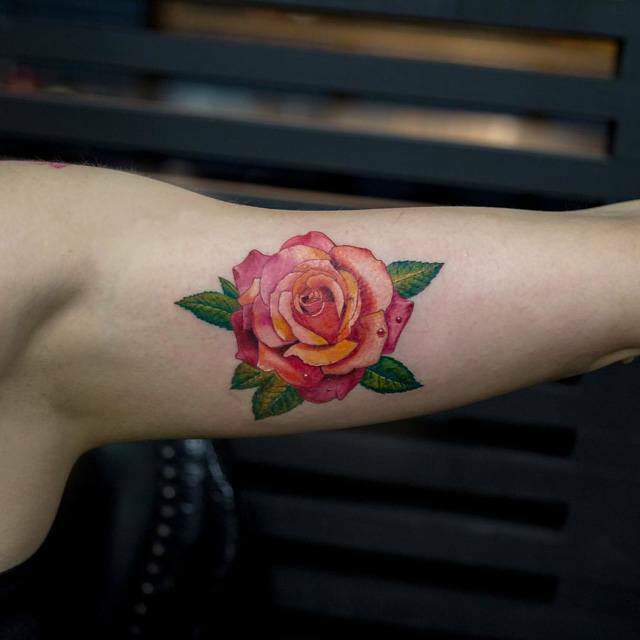 This tattoo design is more often accentuated by roses and other ornaments to make the tattoo design softer and increase it visual impact when you see it the first time. Since this tattoo has a more classic feel to it, a lot of the 80’s and 90’s kids (the golden age of rock bands) get this tattoo to go back to their roots. 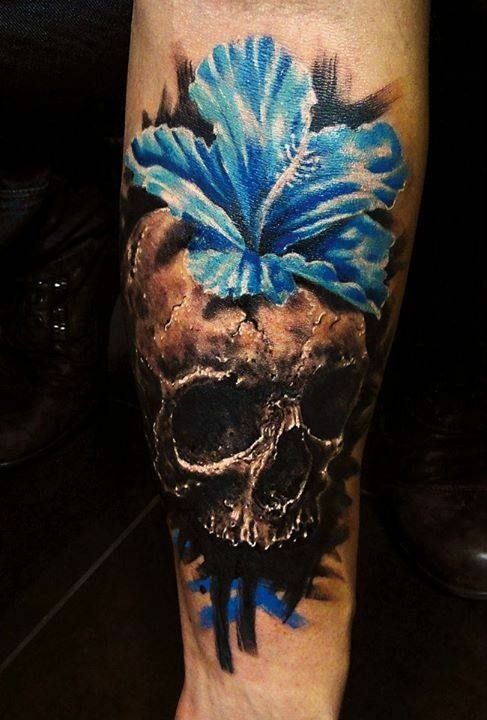 a large sleeve tattoo of a skull and a blue hibiscus flower. 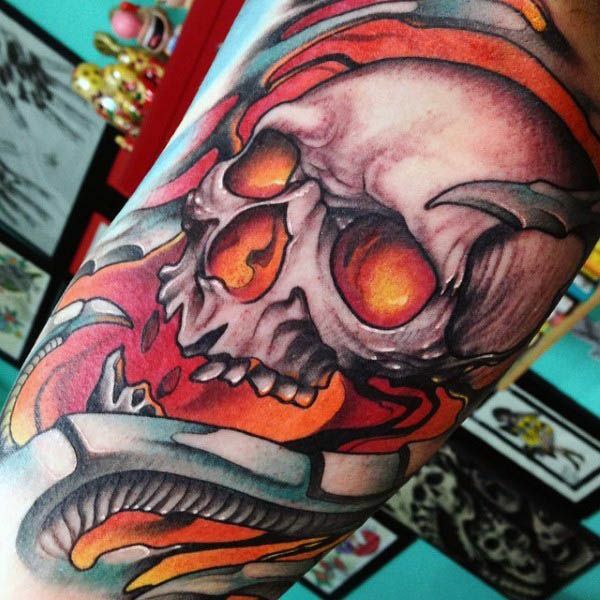 A colorful neotraditional sleeve tattoo of a skull with a fiery background. 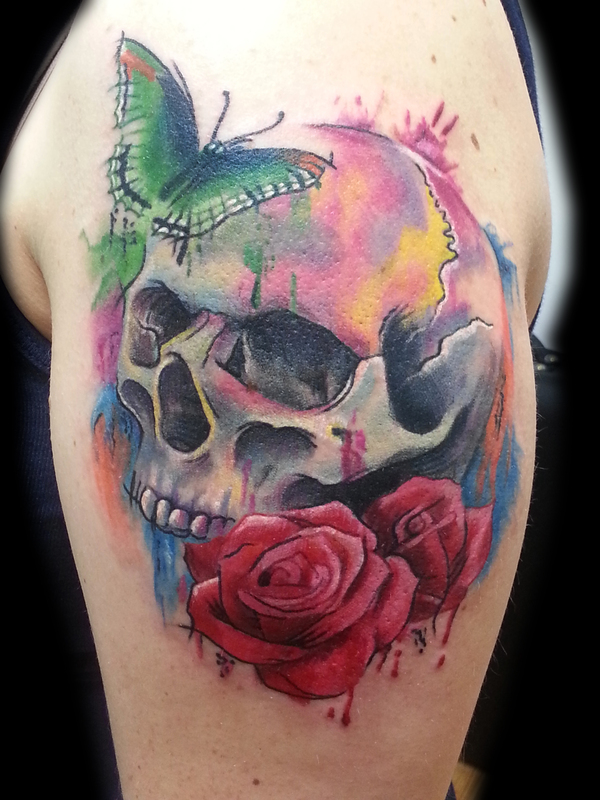 A colorful sleeve tattto of a skull with two roses and a green butterfly and additional watercolor tattoo design elements. Now this tattoo has been the staple of the stereotype American biker hunk. Eagle tattoos became famous because American bikers would often get this tattoo as a symbol that they are deeply patriotic and that they are a member of a biker gang. This tattoo design gain prominence during the 1960’s and 1970’s, the golden age of bikers as some would call it. 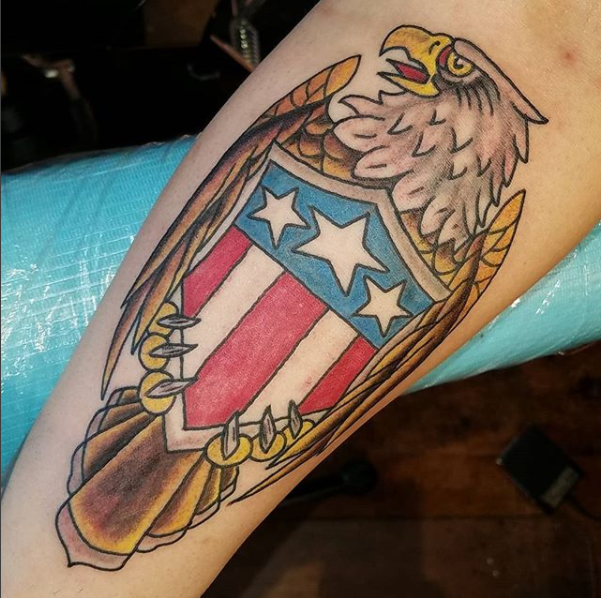 A colorful sleeve tattoo of an American Bald Eagle holding the emblem of the United States of America. 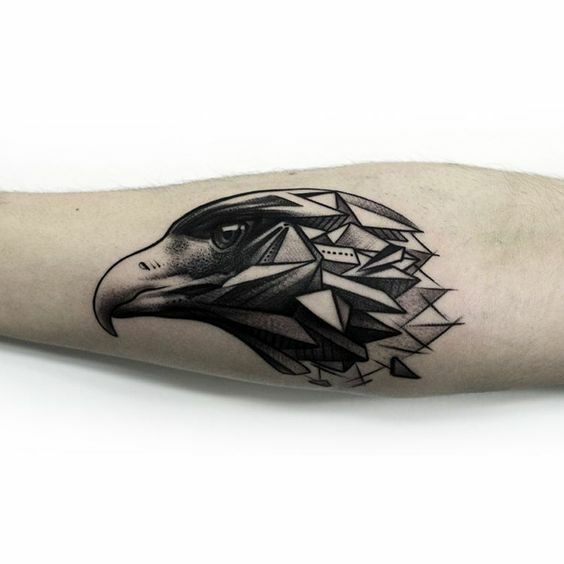 A sketch like lower sleeve tattoo of an eagle perched on a branch. 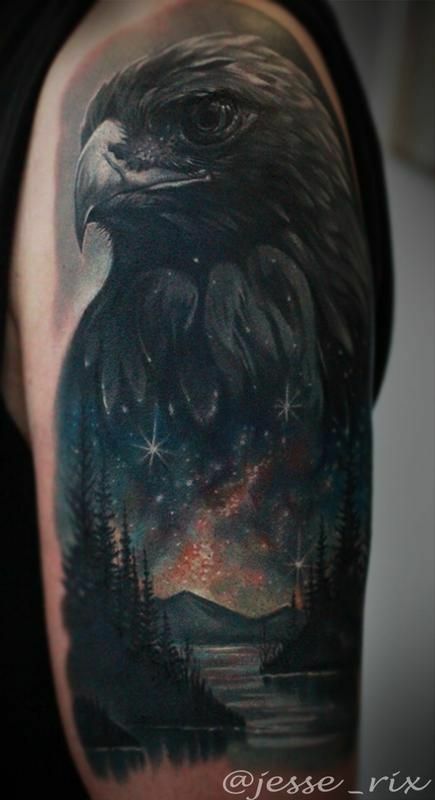 A beautifullly crafted and beautifully designed half sleeve tattoo of an eagle with the night sky by the forest below. 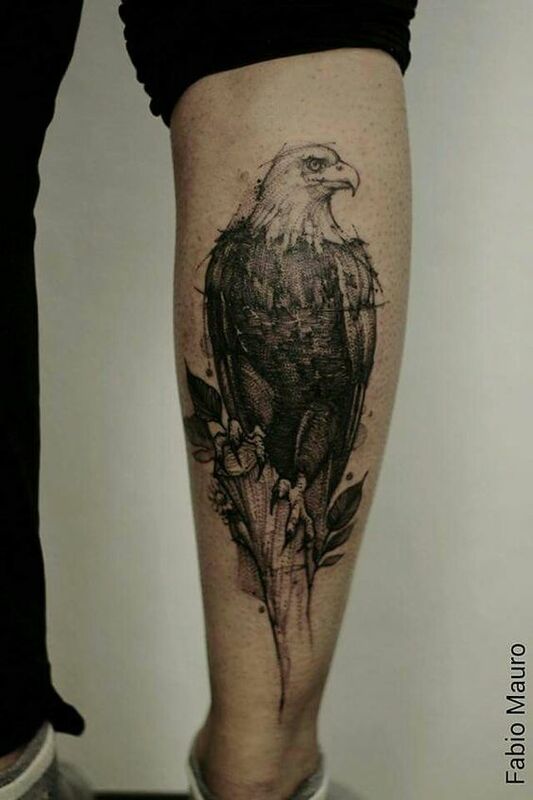 Despite this tattoo’s association with biker gangs, it is quite good that eagle tattoos have not become infamous or even greatly synonymous to bikers. Since the end of the cold war, more and more American G.Is or soldiers are having this tattoo inked on their sleeves as a visual way of telling others how patriotic they are for the United States. 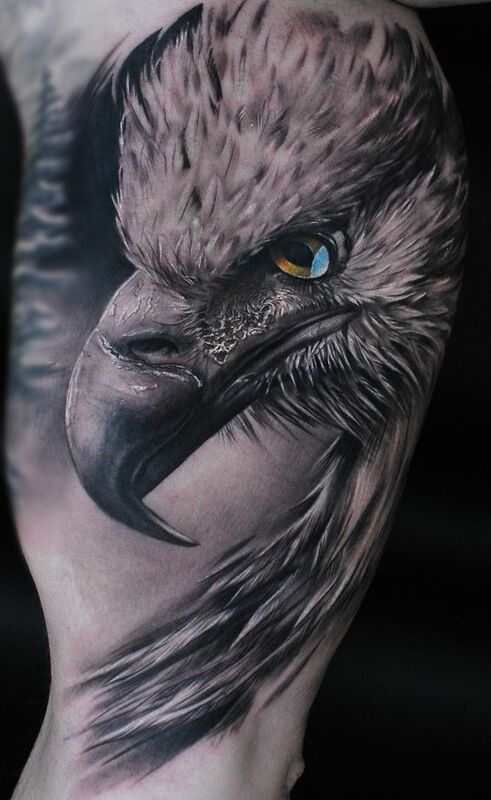 A watercolor-esque sleeve tattoo of a head of a bald eagle. 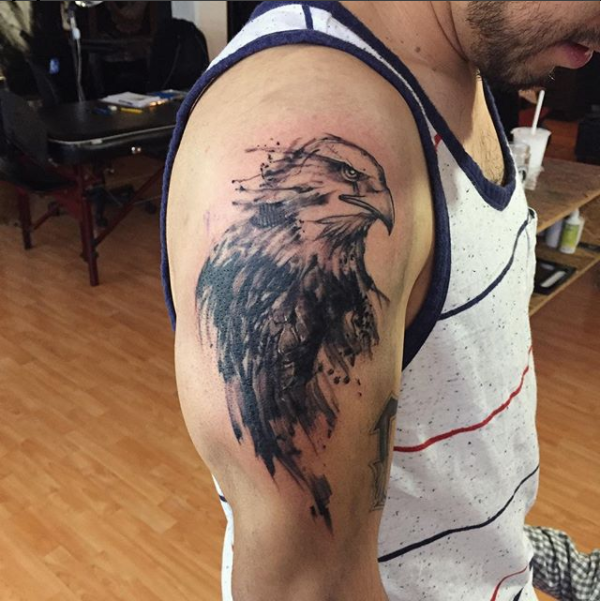 A sleeve tattoo of a traditional North American imagery for an eagle. 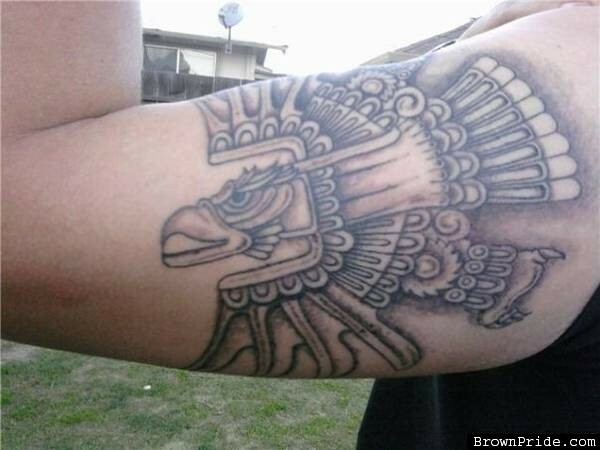 A sleeve tattoo of a tribal eagle holding a snake. The pirate tattoo is one of the most intricate tattoo designs in this bunch since it has a mostly sketch or painting-like visual appeal. 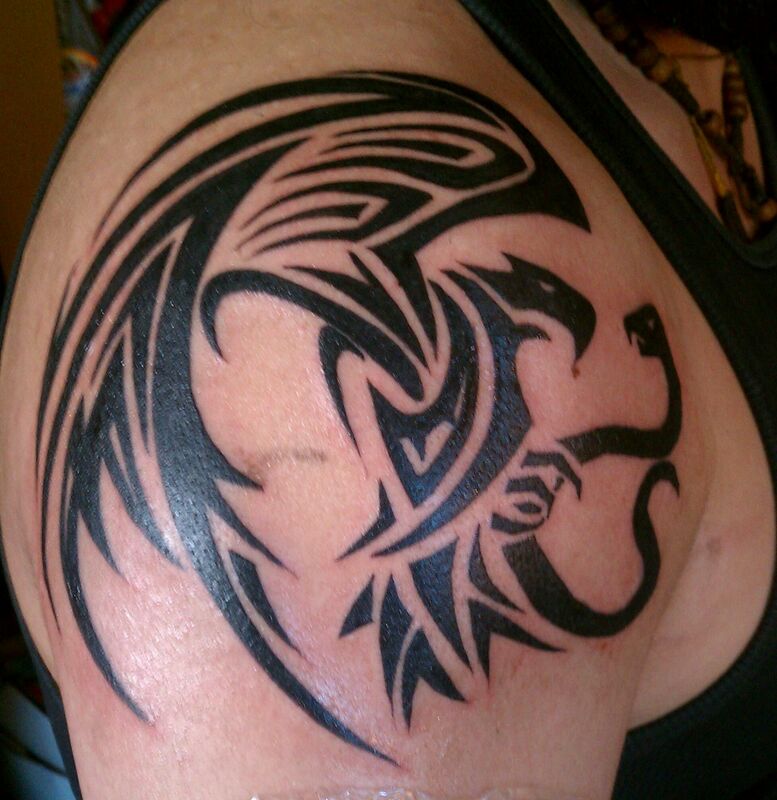 This tattoo design would often not be offered by tattoo artists in their portfolio due to its complexity. The usual shade gradient used in this tattoo is very hard to achieve. 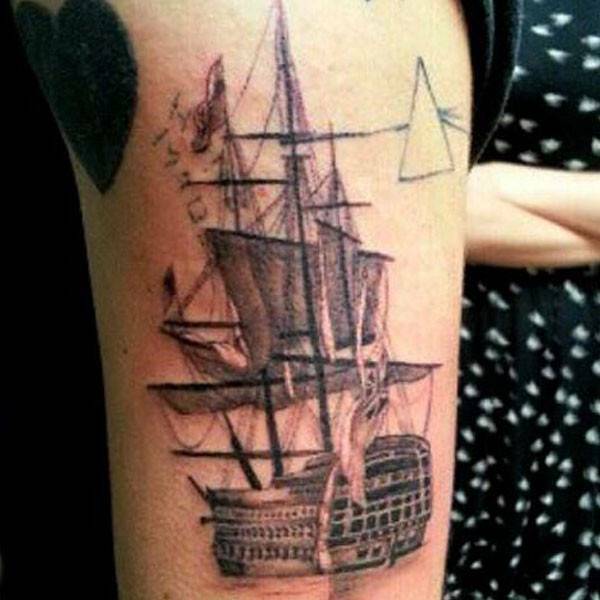 A half sleeve tattoo of an intricately designed pirate ship sailing with all masts down. 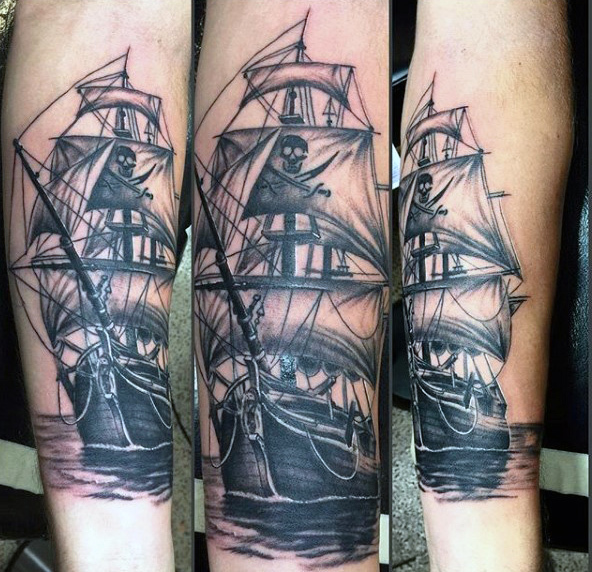 A sleeve tattoo of a large pirate ship. 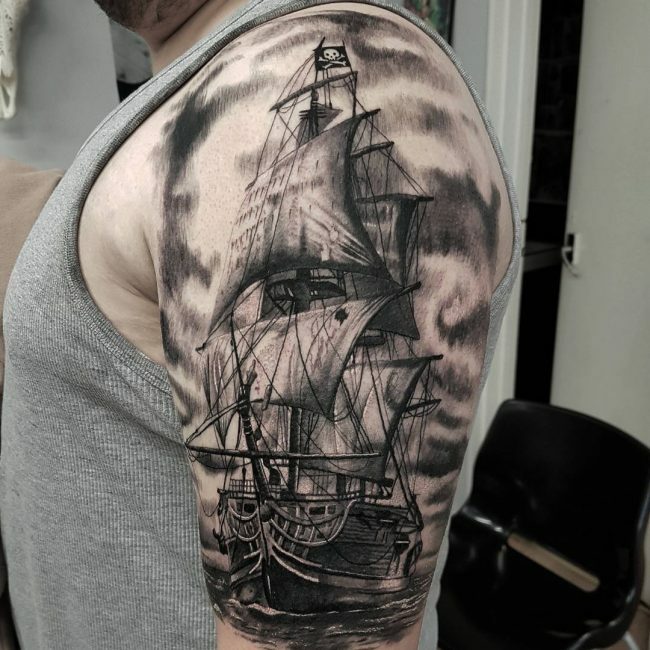 A highly intricate half sleeve tattoo of a pirate ship with stormy skies as the backdrop. 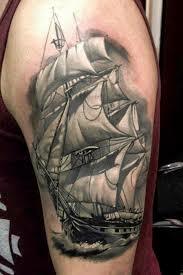 An intricately tattooed sleeve tattoo of a large pirate ship with the jolly roger printed on the main sail. 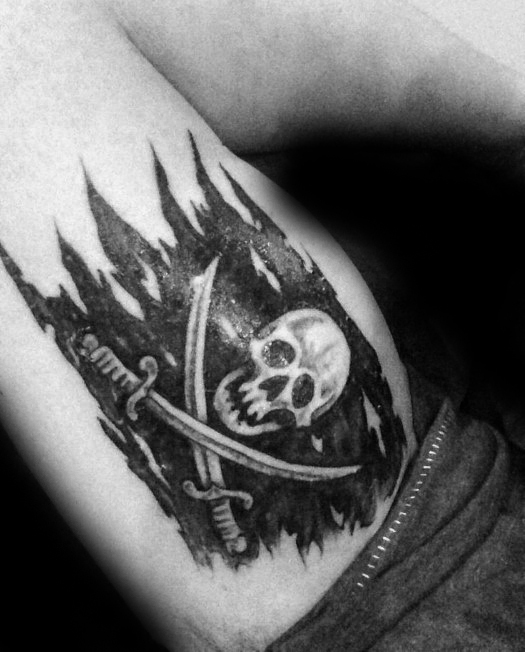 A sleeve tattoo of a tattered jolly roger flag usually found in pirate ships. Typically, the imagery that is used in this tattoo design, ships, helm (steering wheel of a ship), ships under attack by a sea monster, and of course, the classic jolly roger. The jolly roger and helm tattoo designs are the simplest while ships are more intricate and complicated. 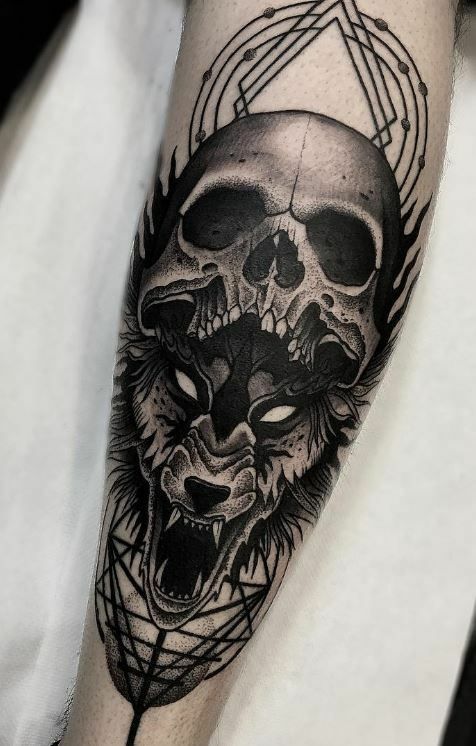 Anyhow, if you will come across a tattoo artist that has this tattoo style featured in his or her portfolio, without a doubt, go for this design! You will not regret it! When women first entered the modern tattoo scene, only a few designs are available to them. Now that more and more women are now drawn to the tattoo community and body art industry, more designs are now sprouting across the globe to accommodate their tattoo design needs. 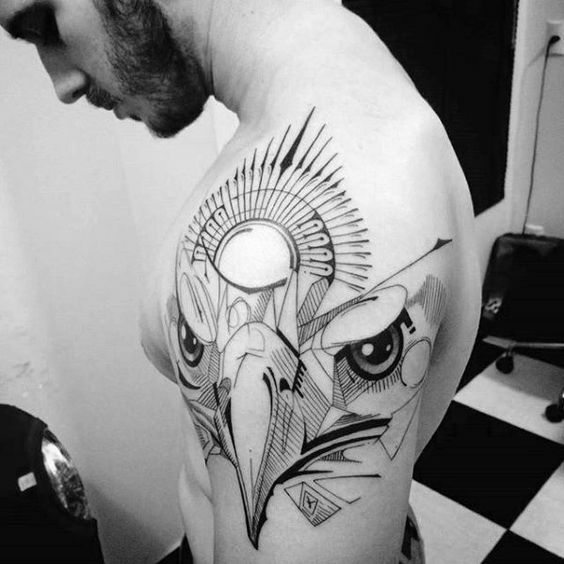 Here are some of the tattoo designs we saw on the internet that we consider as “buzz-worthy”. 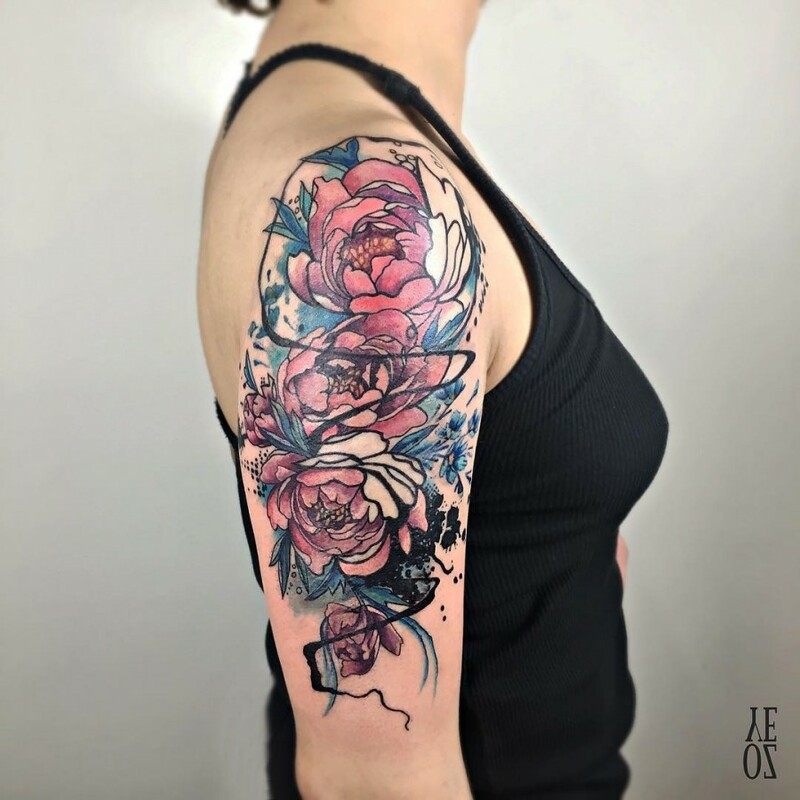 The flower tattoo is the most common tattoo design for women out there since this is undoubtedly the first design that was made to cater both ends of the tattoo enthusiast spectrum (i.e. boys and girls). This tattoo would most often be accompanied by other tattoo designs but it can stand on its own if done properly. 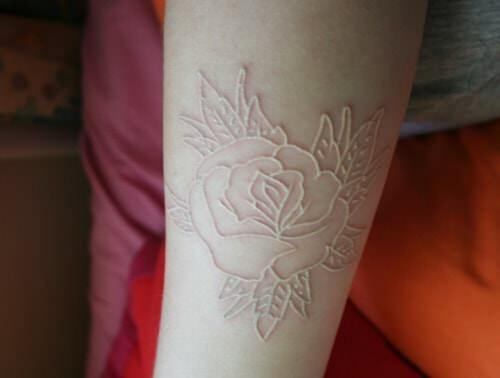 A white tattoo of a rose and its leaves inked on the sleeves. An upper sleeve tattoo of cherry blossom flowers still attached with their branch. An inner upper sleeve tattoo of a pink rose with leaves. 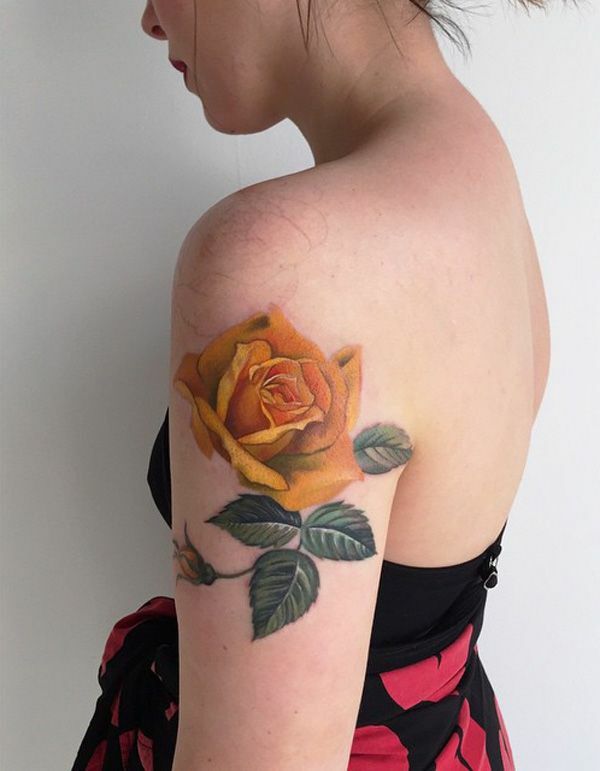 An upper sleeve tattoo of a yellow rose with the leaves still attached. 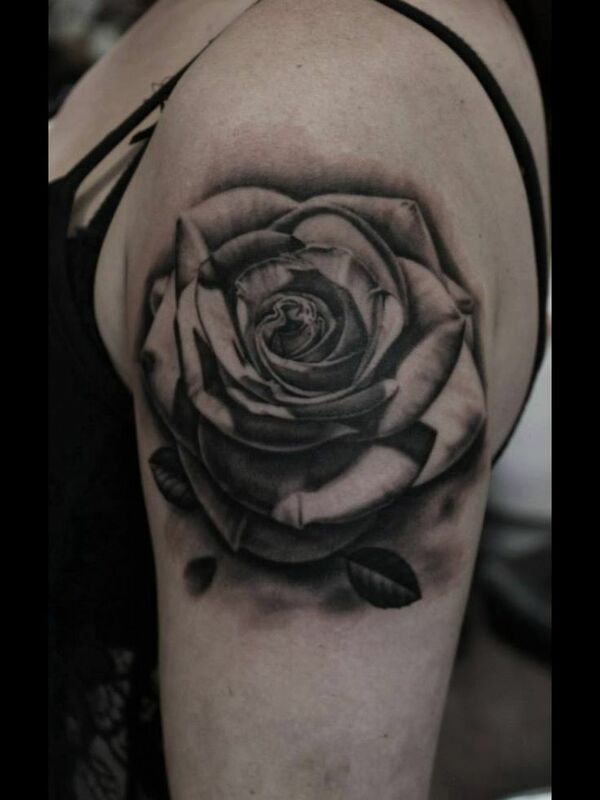 An upper sleeve tattoo of a rose with intricate shading techniques used to do the shadows. Most often, these flower tattoos will feature a rose of various sizes and colors and then detailed with thorns and leaves just like a real life rose. 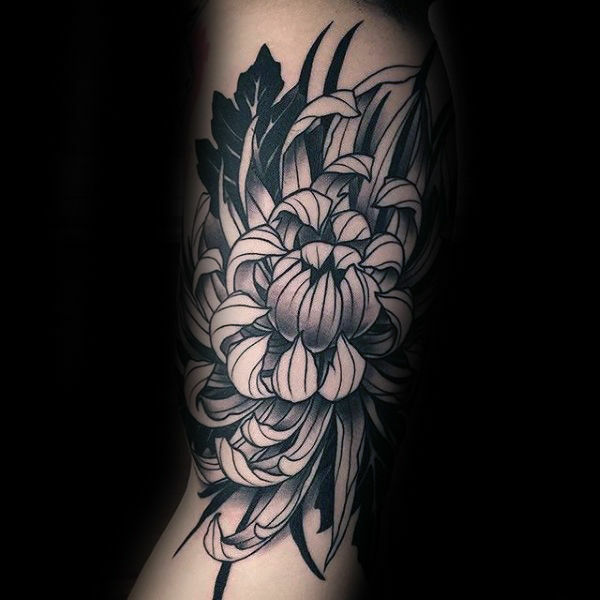 However, more and more flowers are now being featured by this tattoo design such as the chrysanthemum. 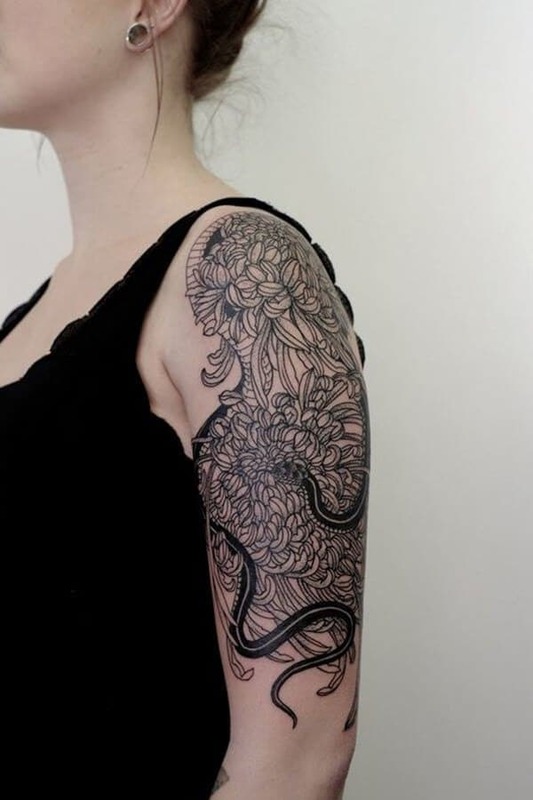 An upper sleeve tattoo of a chrysanthemum with a snake slithering between its petals. 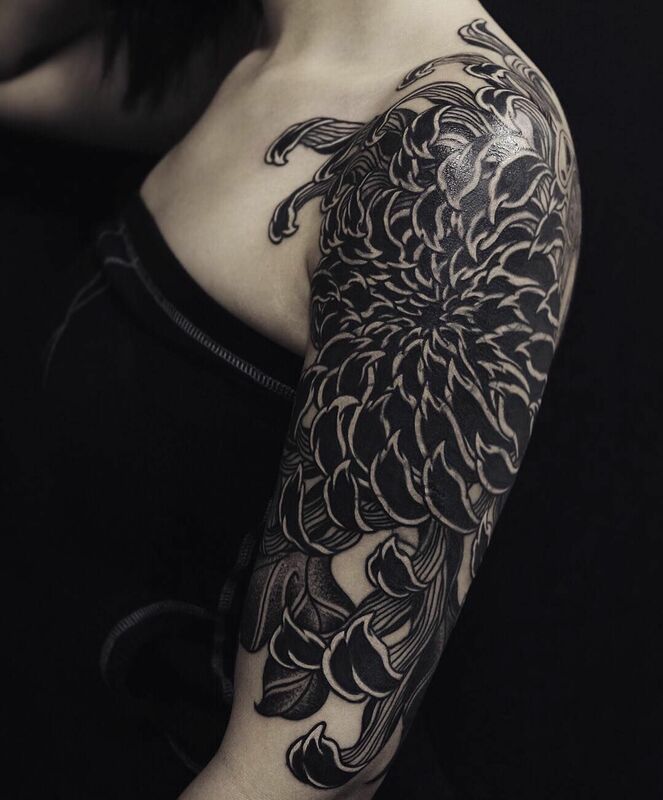 An intricately designed half sleeve tattoo of a black chrysanthemum. 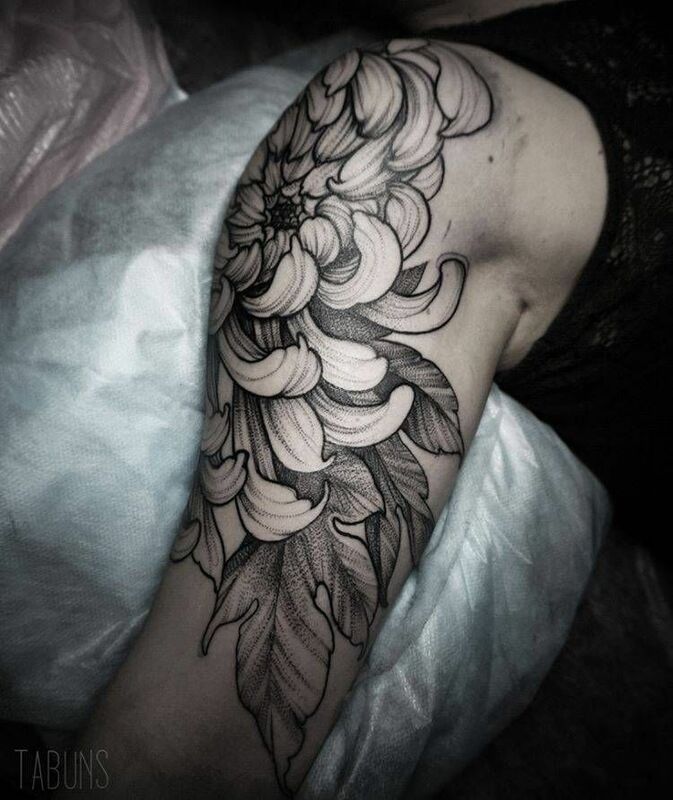 A half sleeve tattoo of a chrysanthemum. An intricately designed neotradtional sleeve tattoo of a chrysanthemum. 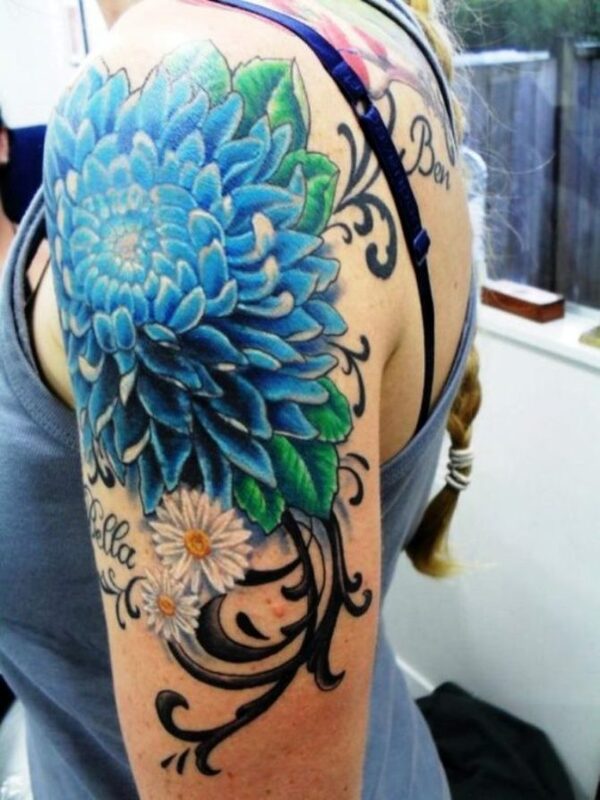 A large half sleeve tattoo of a blue chrysanthemum. 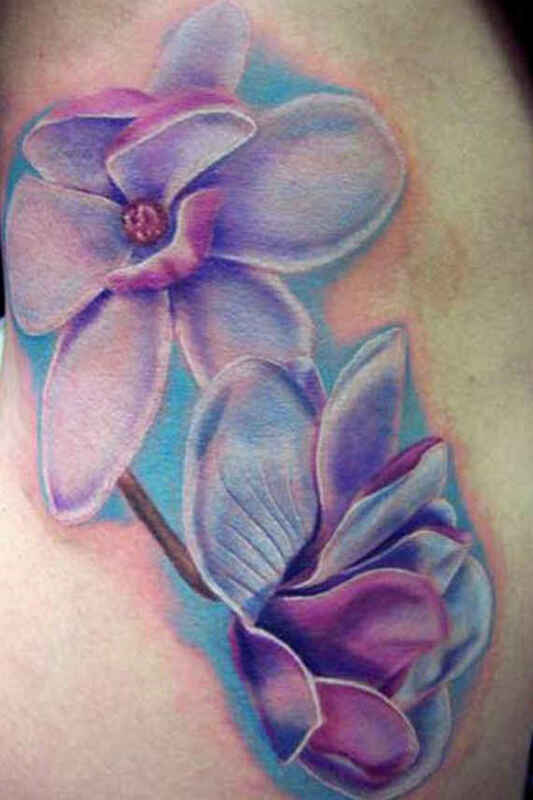 Expect more flowers to fill the tattoo design market in recent years as more species of flowers are being discovered in various parts of the world annually. Artsy tattoo designs are fairly new in the tattoo industry if compared to other tattoo designs out there. Since this is a new design, only a few tattoo artists in your area would offer this tattoo design. This can be attributed to the age of the tattoo in relation to the industry. An artsy sleeve tattoo of a bow and arrow. 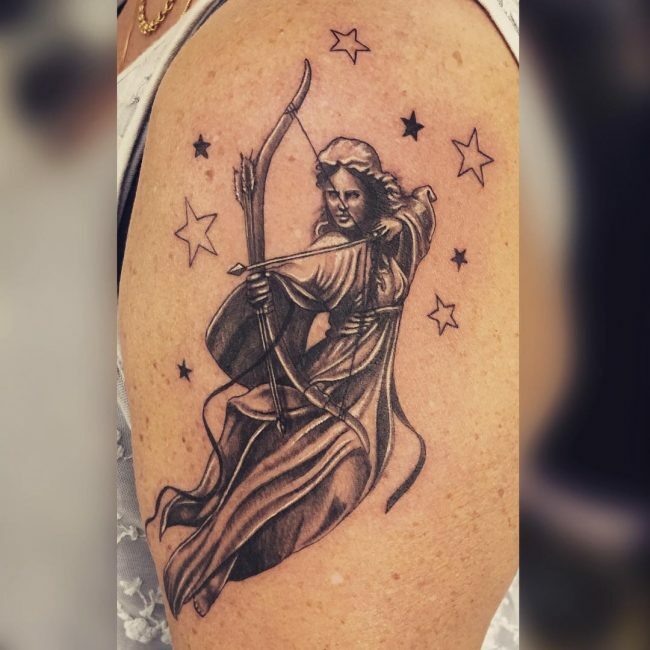 An upper sleeve tattoo of a female archer surrounded by stars. 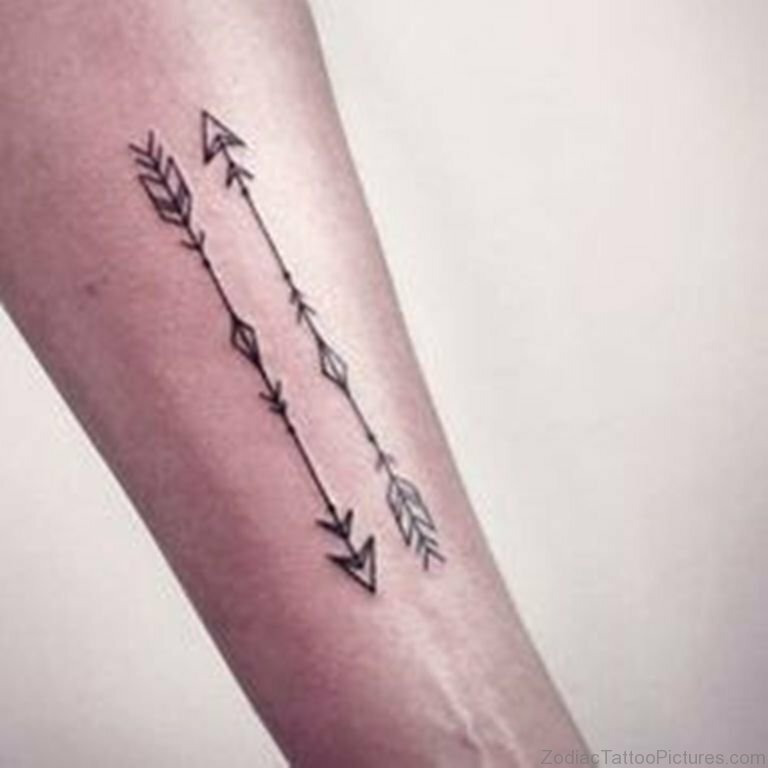 A sleeve tattoo of two artsy arrows. 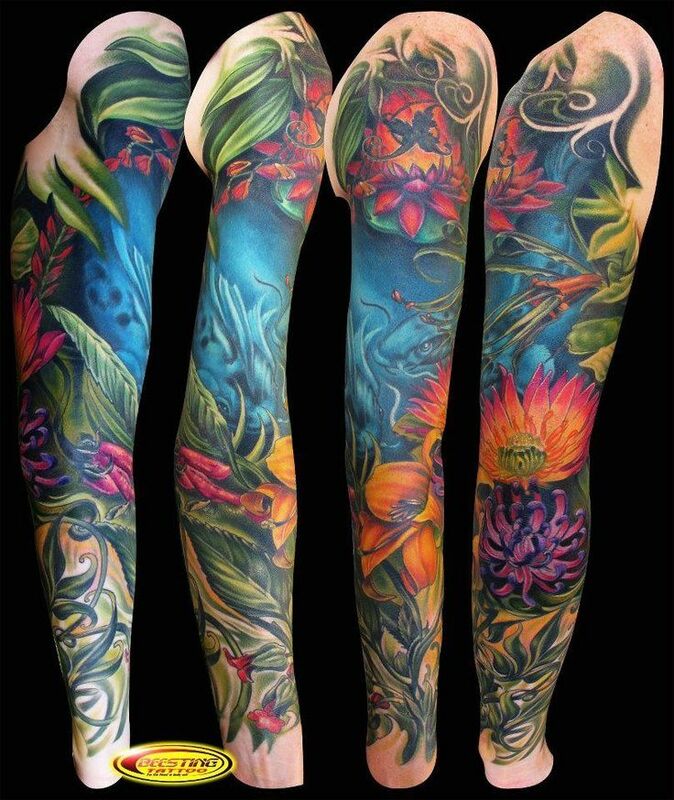 A beautifully colored full sleeve tattoo of underwater sceneries. A large and intricately designed artsy full sleeve tattoo of the Mandala. 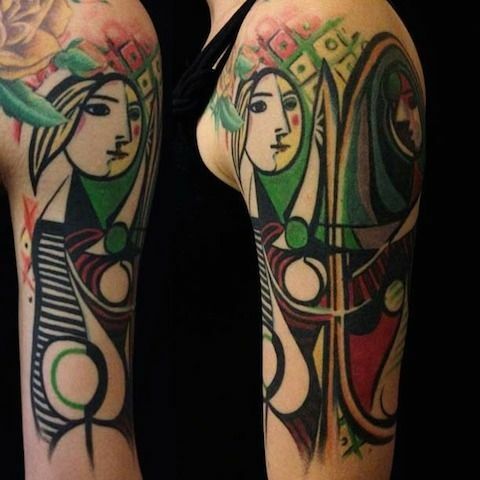 A vibrantly colored half sleeve tattoo inspired by Picasso’s artworks. The designs offered by this tattoo style is not restricted to one object only. In actuality, this tattoo design is actually more of a vibe for a tattoo since adding a few elements to a traditional or simple tattoo design would make it, as we call it, “artsy.” It is more open to change if compared to other designs which is why it is slowly gaining momentum in the tattoo community and body art industry. 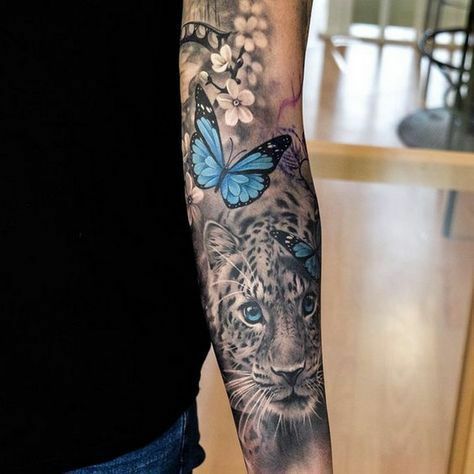 A beautifully crafted and intricately designed full sleeve tattoo of a cheetah and a a blue butterfly. 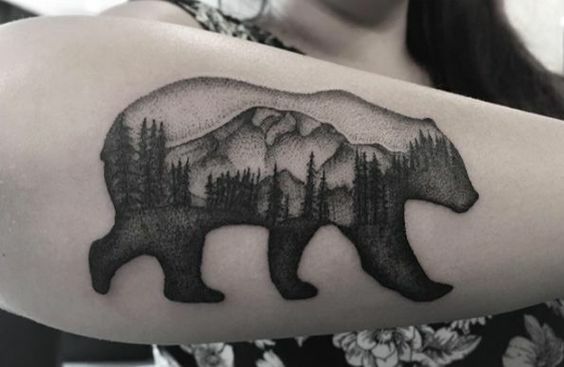 a lower sleeve tattoo of a bear outline framing a forest and mountain. 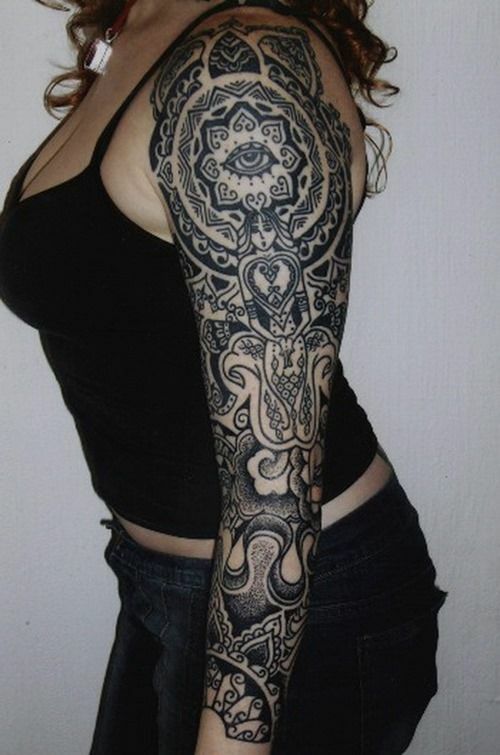 A large and intricately designed artsy tattoo as a full sleeve tattoo. A sleeve tattoo of an intricately designed artistic vision of the traditional Yin and Yang symbol. 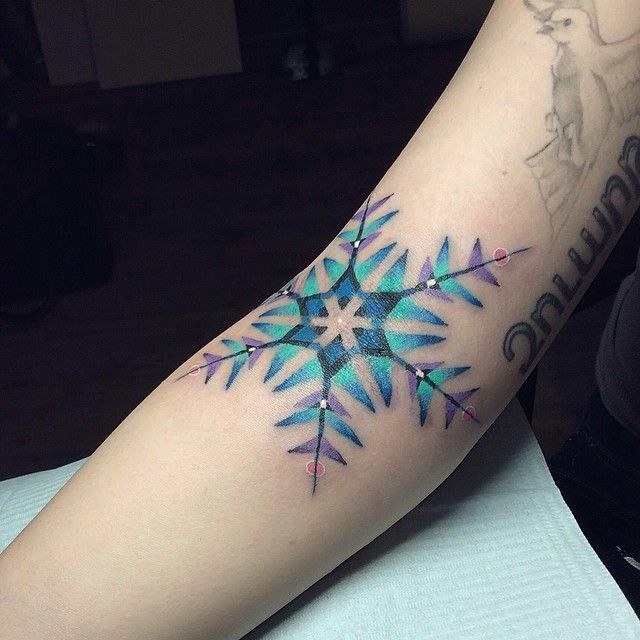 A colorful artsy tattoo of a large snowflake on the sleeve. In a few years, this tattoo will grow in popularity in the levels of flowers and other traditional tattoo designs which is why if you want a tattoo right now, we are highly suggesting this tattoo style. This tattoo design has got to be the most complicated and skill intensive in the body art industry as of this writing. Watercolor tattoo designs are considered to be the most skill intensive tattoo design out there and only a handful of tattoo artist per area are capable enough to pull this tattoo design. This tattoo requires tattoo artists to undergo grueling training just to be skilled enough to get this tattoo design right. 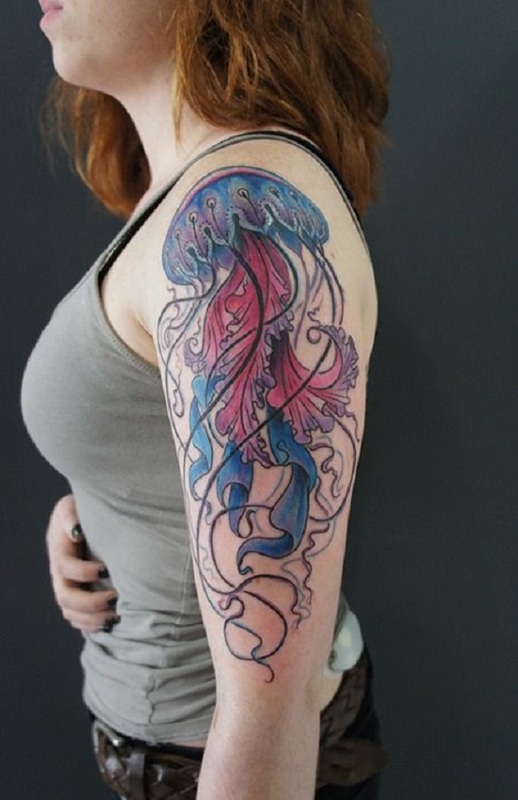 A large watercolor tattoo of a jellyfish on the sleeve. 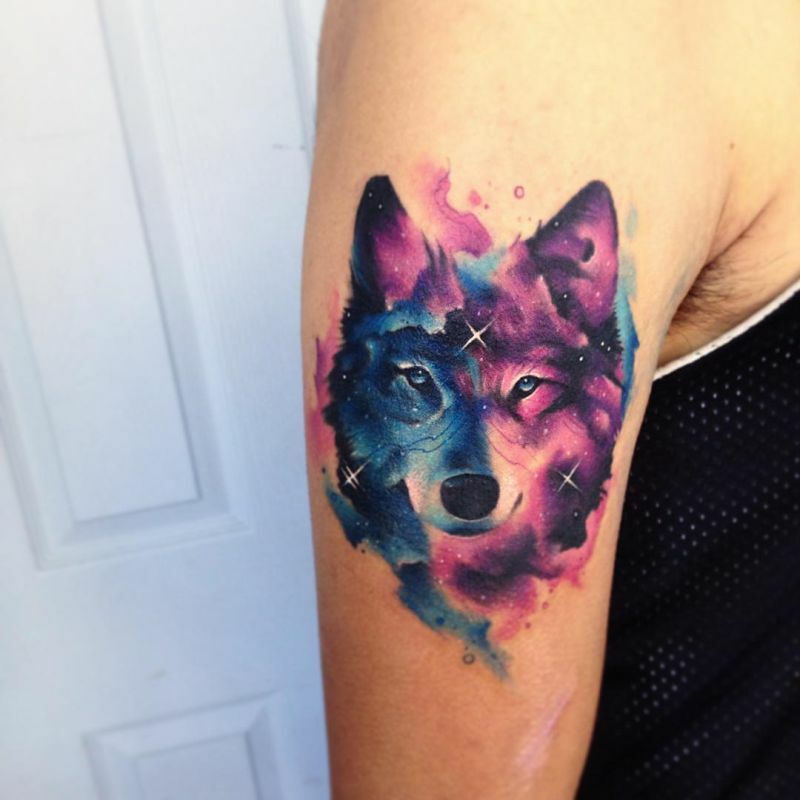 A pink and blue watercolor tattoo on the sleeve of a wolf overlayed with the galaxy. 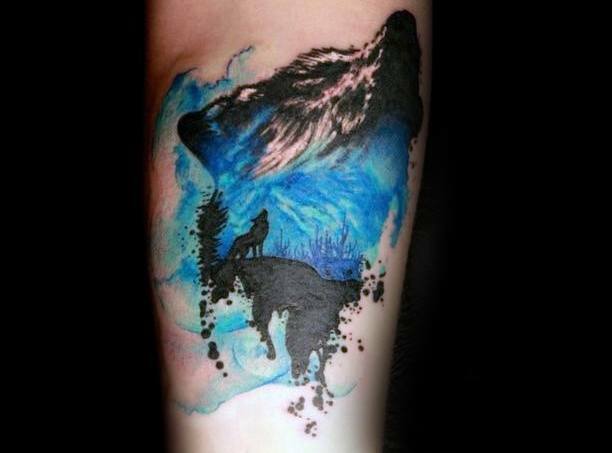 A blue watercolor tattoo of a wolf howling on the sleeve. 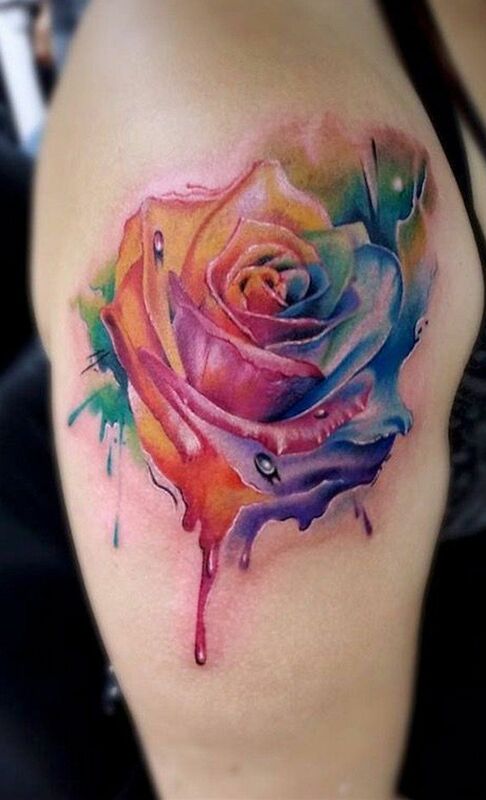 A multi colored vibrant rose watercolor tattoo on the sleeve. 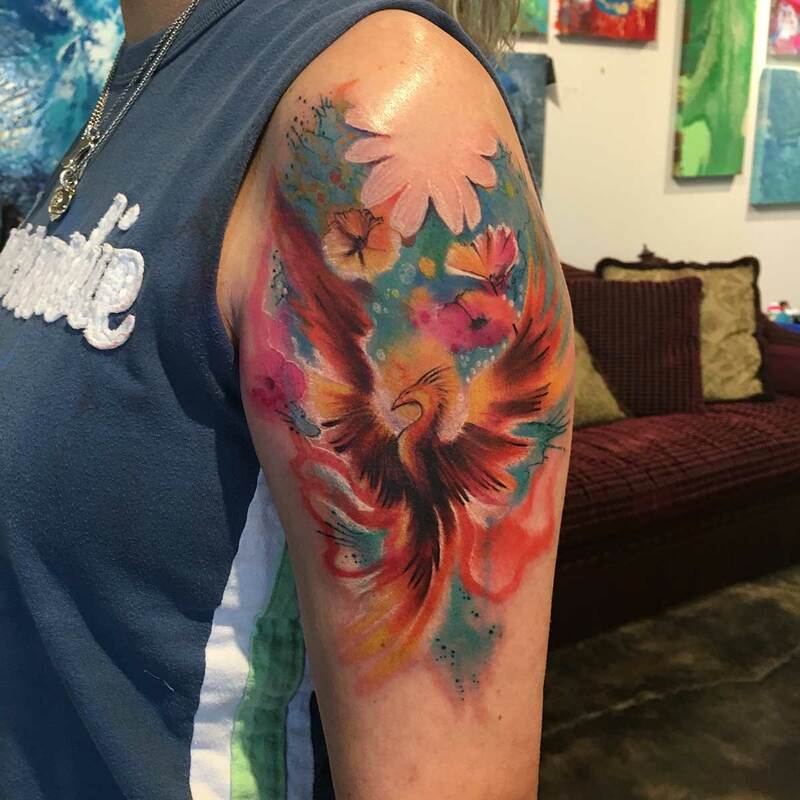 A beautifully designed sleeve tattoo of watercolor phoenix. Since this tattoo design is considered as an extremely hard tattoo design to be inked even by the most skilled tattoo artist, only a few designs out there are present that can be solely called as “watercolor tattoos” although a lot more tattoos out there incorporate watercolor tattoo design elements to traditional and other tattoo designs to call it watercolor tattoo. 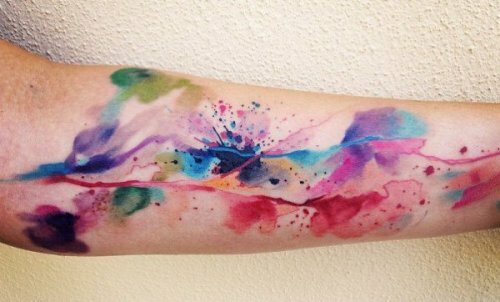 A sleeve tattoo of a vibrantly colored watercolor splash of various colors. 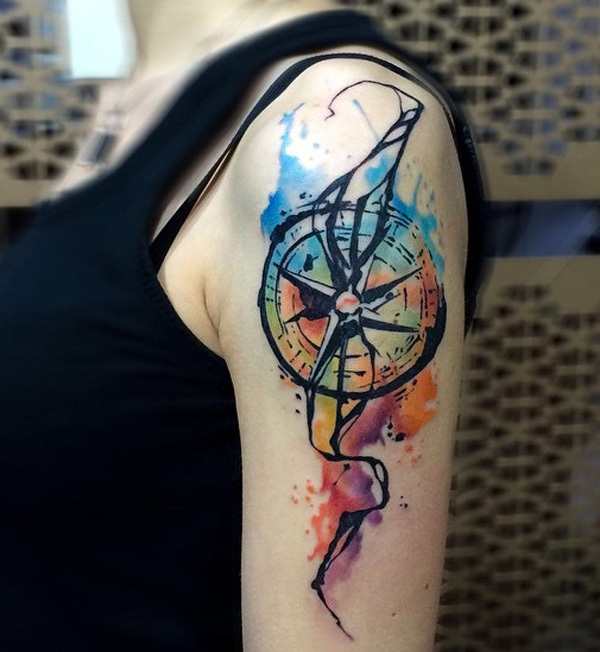 A beautifully made watercolor tattoo on the sleeve of an intricate compass. A watercolor tattoo of pink roses on a blue background on the upper half of the sleeve. 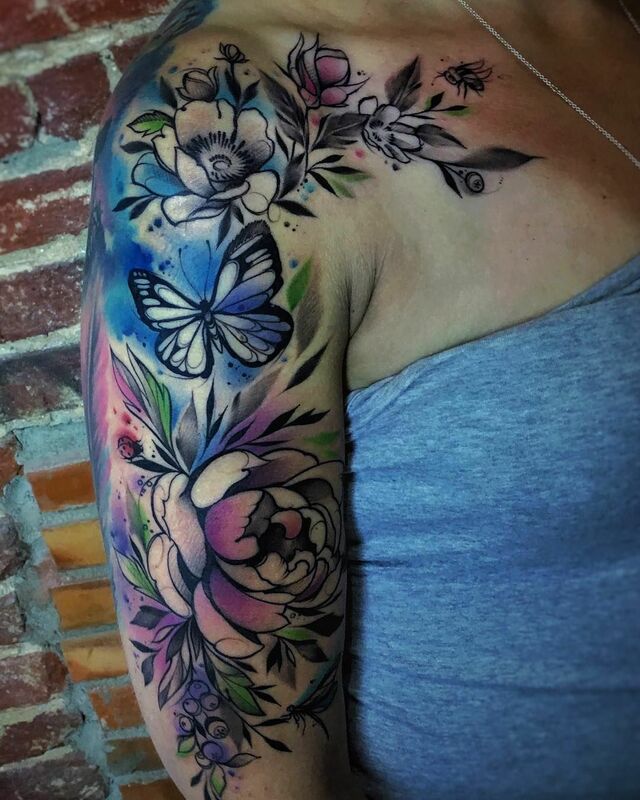 An intricately designed watercolor tattoo of flowers and butterflies on the upper half of the sleeve. 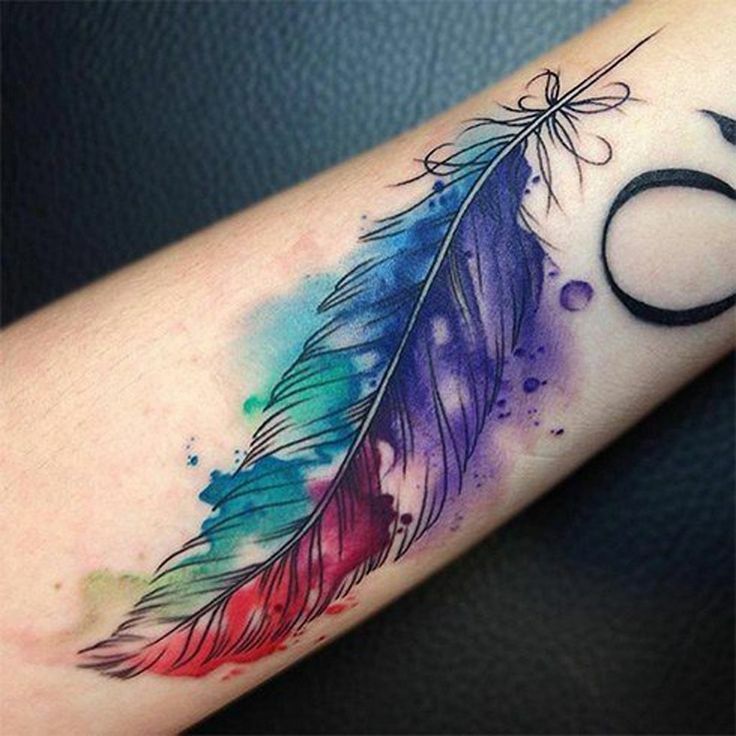 A wonderfully crafted beautiful watercolor tattoo of a multicolored feather on the sleeve. Despite the extreme complexity of this design, more and more tattoo enthusiasts yearn for a watercolor tattoo on their skin which is why the number of tattoo artists that are capable of pulling this tattoo design is growing. If you can come across a tattoo artist that is skilled enough to show you some of his watercolor tattoo works, we will not hesitate you to push to get this tattoo on your skin. Disclaimer: This classification we use for various tattoo designs does not mean that they are exclusively for boys or girls only. If you honestly think that you can rock a tattoo despite how we labeled it to be masculine or feminine, go ahead! We are not stopping you to rock that tattoo design you picked.